We marvel at the depths of water that gives Crater lake its deep blue clear waters. Yet the pipes that lead to the magma chambers are deep, penetrating miles into the earth’s surface. 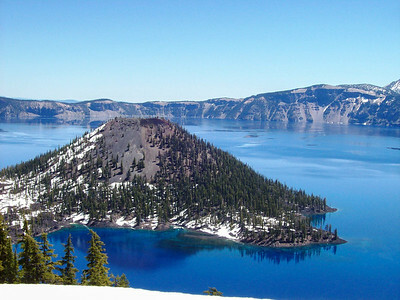 It is the collapse of the once active volcano that creates the cavity into which water could be trapped, with no escape down the now blocked passages that fed the cinder cone, now known as Wizard Island.